How Secure Are Query Strings Over HTTPS? A common question we hear is “Can parameters be safely passed in URLs to secure web sites? 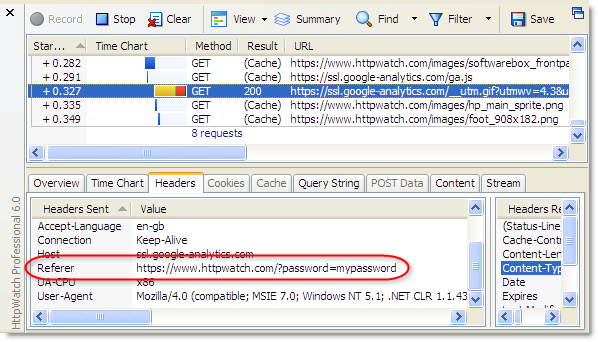 ” The question often arises after a customer has looked at an HTTPS request in HttpWatch and wondered who else can see this data. The private key used by the web server to initiate the SSL connection is not available outside of the web server itself. 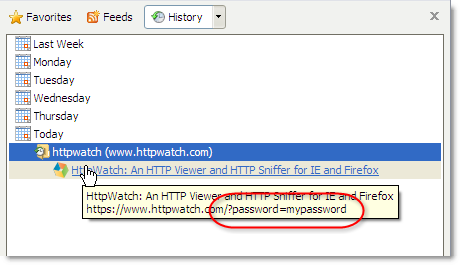 It’s generally agreed that storing clear text passwords is never a good idea even on the server. Query string parameters will also be stored if the user creates a bookmark. Only pass around sensitive data if absolutely necessary. Once a user is authenticated it is best to identify them with a session ID that has a limited lifetime. 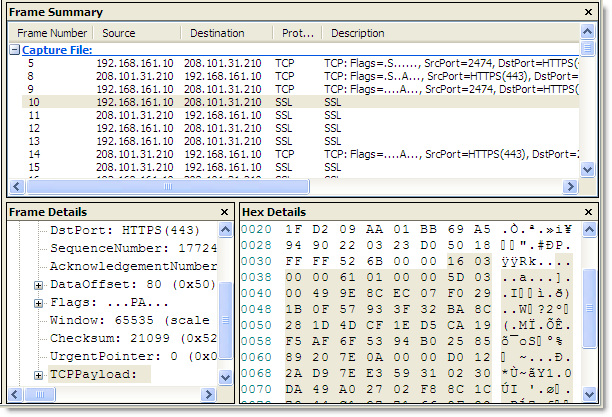 Use non-persistent, session level cookies to hold session IDs and other private data. 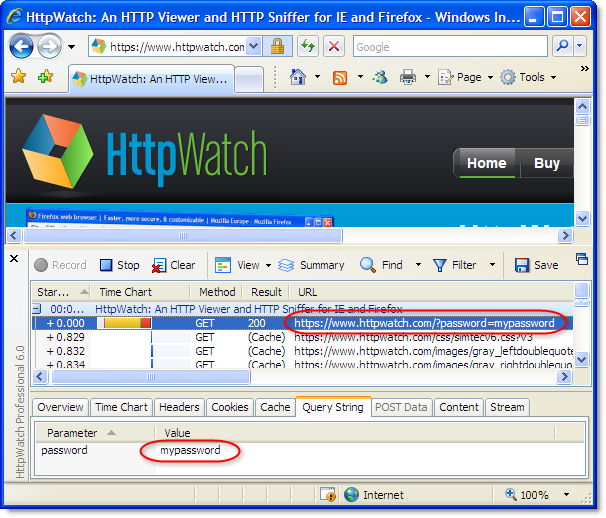 Notice that the cookie is limited to the domain store.httpwatch.com and it expires at the end of the browser session (i.e. it is not stored to disk). You can of course use query string parameters with HTTPS, but don’t use them for anything that could present a security problem. For example, you could safely use them to identity part numbers or types of display like ‘accountview’ or ‘printpage’, but don’t use them for passwords, credit card numbers or other pieces of information that should not be publicly available. Hi. in the url is http://localhost//websitename/myprofile.aspx?token=A1E5DSF55e54A22ADF554. the querystring value is an encrypted value. 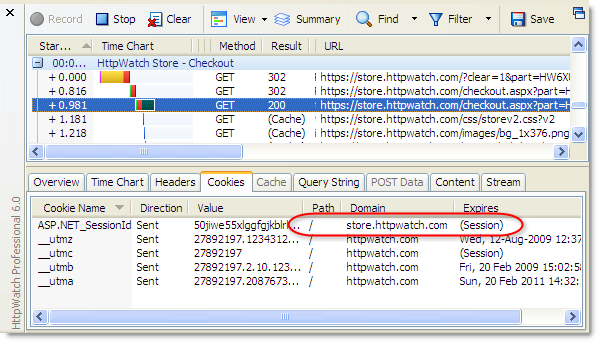 From http to https with or without querystring is redirected fine and http_referer is found. But from https to http the HTTP_REFERER/HTTPS_REFERER without querystring referer is found but with querystring referer is not avaliable why? is that my querystring is encrypted. please reply. Please can you make your question clearer and break it down into steps. Also, which browser are you using? Are you looking at the Referer header in the browser or on the server? BTW, the referer header could be blocked by client-side filtering tools, browsers or proxies. I think there’s another important concern you didn’t list: users often share URLs without thinking. For example, if someone wants to show a friend some product on amazon.com they’ll probably just copy and past the URL from the browser into an tweet it to them. No one goes through the whole URL to check if, for example, their amazon account password is stored in the querystring. Hi there, great explanation! Thank you very much. I have a question: Is there any security problem to use https protocol with password in post method and not as a parameter in url?